Aviation: Are Cuba and Iran Really Open for Business? U.S. licenses may authorize export, sale, or lease, of commercial aircraft and parts to Iran. Iran sanctions could snap back to previous prohibitions if Iran does not continue to meet its nuclear obligations. Amendments to U.S. Cuba regs include avenues for U.S. operators to engage in carrier services in and out of Cuba. U.S. foreign policy is moving fast these days, especially when it comes to sanctions and the aviation industry. While U.S. aviation and leasing has not been given a complete go-ahead, steady changes are continuing to open aviation markets in both Iran and Cuba. Everyone should pay attention to the details, because most aircraft have at least some small amount of U.S. content, falling under U.S. rules. On Jan. 16, 2016, it was confirmed that Iran implemented key nuclear-related measures described in the Joint Comprehensive Plan of Action (JCPOA). This confirmation triggered Implementation Day, the day that the U.S. and other parties agreed to lift nuclear related-sanctions against Iran. These lifted sanctions generally relate to secondary sanctions or those imposed by the U.S. government against non-U.S. persons. Although U.S. parties are still prohibited from entering into most activities with Iran, there are exceptions for the U.S. civil aviation industry. These changes include the adoption of a Favorable Licensing Policy for commercial airline transactions. Specific licenses may be issued on a case-by-case basis and may authorize various activities such as export, re-export, sale, lease, or transfer of commercial passenger aircraft, spare parts and components, and the provision of certain associated services. Conditions may apply, so always carefully read any license you obtain and consult export counsel. Additionally, the newly issued General License I underscores that U.S. companies can explore certain licensable opportunities. It authorizes U.S. companies to engage in transactions normally incident to negotiating and entering into contracts if performance is made contingent on obtaining a specific license. Doing business with Specially Designated Nationals (SDNs) is still not allowed and companies should continue to monitor the status of sanctions. 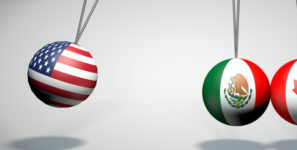 The rules could snap back to the previous strict prohibitions if Iran does not continue to meet its nuclear obligations. As rules are changing in Iran, there is nothing short of a metamorphosis happening in Cuba. Amendments to the Cuban Assets Control Regulations (CACR) and Export Administration Regulations (EAR) include avenues for U.S. lessors and/or operators to engage in certain activities associated with commercial flights, or carrier services, in and out of Cuba. However, general aviation operations are not included in these changes. In removing Cuba from the countries designated as State Sponsors of Terrorism, the U.S. Department of Commerce has made it possible to fly commercial civil aircraft to Cuba from nearly any country, if you meet the right criteria. Commercial airline operators should discuss this opportunity with U.S. trade counsel. U.S. parties are still prohibited from partaking in transactions that provide for Cuban operational control or continued operations in Cuba outside of maintaining a business presence related to authorized activities. It is important to note that facilitating unauthorized travel or exports from the U.S. or third countries remains a violation. U.S. individuals can only travel to Cuba if they fall under one of 12 authorized categories, unless they have obtained a specific license from OFAC. Consequently, operators should take steps to minimize their risk of facilitating unauthorized travel. No matter where you are sending a piece of equipment or technology, there are other compliance obligations that you should always consider. Always screen all parties to every transaction to ensure they do not appear on any government lists such as OFAC’s Specially Designated Nationals List, Department of Commerce, Bureau of Industry and Security’s Denied Persons List, or the Department of State, Directorate of Defense Trade Controls’ Debarred list to name a few. Always look for corruption and money laundering red flags, such as customers reluctant to provide information about the end-use or end-user of the product; purchases that do not fit the capabilities of the buyer’s line of business; customers with little or no business background; or requests for atypical payment terms. Protect yourself and your company. To catch issues before they become bigger problems, assign one person to complete and document company due diligence for every transaction. It doesn’t have to be complicated, but you must have some basic compliance measures and training to avoid and manage risk. Doreen M. Edelman is a shareholder in Baker Donelson’s Washington, D.C. office and co-leader of the firm’s Global Business Team. Abbey Baker is an attorney in Baker Donelson’s Washington, D.C. office and member of the firm’s Global Business Team.